Hovercraft is an Air Cushion Vehicle (ACV) which is capable of traveling 0n land, water, mud, and ice. Sir Christopher Cockerell invented the hovercraft vehicle in 1955 and in 1959 the first hovercraft S.N1 floated. 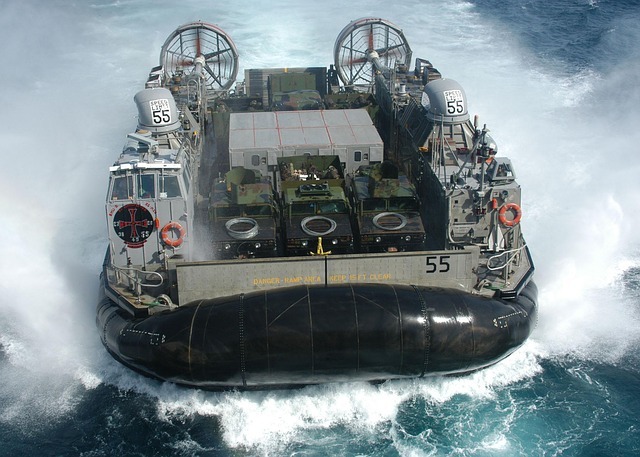 Hovercrafts are very popular among military people because these hybrid vessels can take 60-65 tonnes of the load which helps to transport troops, tanks, and military supplies and they can access areas which other vehicles cannot. These are driven by the pilot as an aircraft rather than by a captain as a marine vessel. Hovercraft consists of an engine that powers both the fans, one at center facing downward and the other one facing backward. The fan on the center fills the air in cushion that creates the lift. Other fan propelled the craft to the required direction with the help rudder place behind it. The fan creates pressure under the craft, so bigger the craft more the area and more the force. That implies bigger hovercraft with same fan size have greater load taking capacity. Open plenum: The simple hovercraft with a big fan blowing air in the cushion and another driving the craft. These types of Hovercraft require powerful engines. Peripheral jet: The fan facing downward fill the air between the outer shell and smaller inner container due to which it creates momentum curtain. This design type is known as peripheral jet. The advantage of such design is that fan has to blow lesser air that means greater lift with lesser power. Flexible skirt: Adding a skirt with fingers gave a greater height to hover, better seal, and have a tendency to avoid obstructions. For more effective airflow hundreds of moving fingers are connected to the bottom of the vessel. 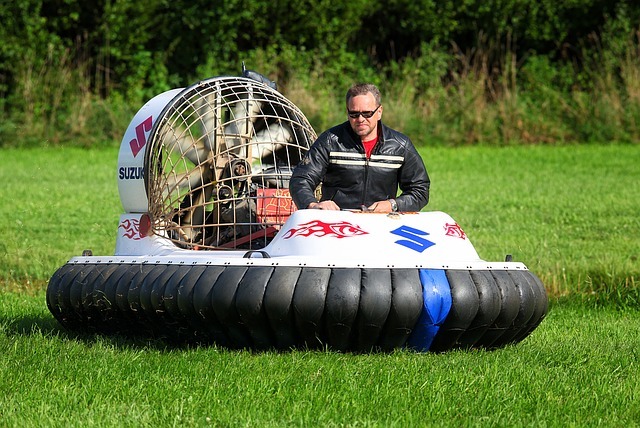 Hovercraft can travel anywhere in the land, water, ice, mud at high speed up to 145 Kmph. Ability to carry a heavier load such as the armory, large container, passengers, machine, and equipment. Cheaper to operate means use less fuel. More efficient than other water transport as hover waste less energy on drag and waves. Smoother ride as it glides on the water surface. They are very noisy which creates a problem for the passengers and the people staying around the port. Hovercraft cannot be used for military covert operations too due to the noisy mechanism. With the ease of accessing the areas which are impossible to reach by boat or other water transport, the hovercraft are used for many purposes apart from military operations and cargo transportation. Currently, a company Lockheed Martin working to put hovercraft technology on Hybrid Airship which will be a cargo-hauling ship of skies.California bases tech company Aerofex has developed the Aero-X hovercraft that rides like a motorcycle after a vertical take-off rider can cruise at speed of 72kmph. Previous post: Amphibious Cars And How They Work? Next post: How Does A Hang Glider Stay In The Air?